A bitterly cold morning and very little to be seen offshore or in the bushes. 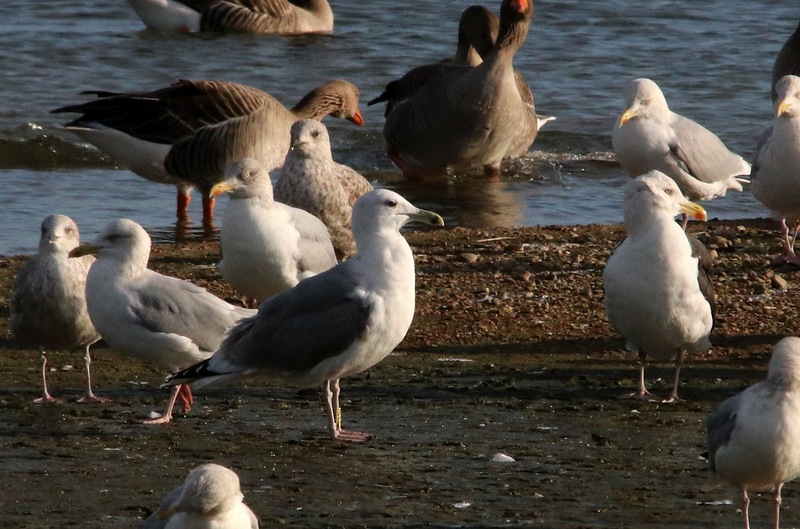 Efforts were in part concentrated on the RSPB Reserve where the gull roost continues to provide plenty of interest with several Caspian Gulls seen and including this colour-ringed bird. 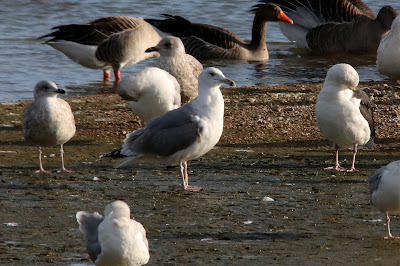 It was originally ringed at Lviv in Ukraine as a nestling in 2015 and was first seen at Dungeness later in that year. Nice evidence of a returning wintering individual. Yellow with black code HCL23 - a Ukranian-ringed bird.